After months of the PC hardware space feeling more focused on the high end, the release of Nvidia’s GTX 1660 graphics card makes building an affordable but high-end gaming PC easier than it has been in a little while. Most of our recent PC hardware coverage on VG247 has been focused on the stuff that is obviously the future. There’s ray-tracing, deep learning super sampling and of course an increasing focus on 4K displays and rendering – but these are all super expensive propositions. If you want to go 4K, for instance, you’ll need a good 4K display, and to get that at gaming-friendly refresh rates you’re already looking at several hundred pounds or dollars. If you want to tack HDR and features like Freesync or G-Sync on top, you’re above a grand – and that’s before you’ve bought everything else you need on the PC, or indeed the expensive graphics card to power those visuals. So while Nvidia is focused on their new Turing-powered RTX series graphics cards, it isn’t yet done with the GTX series. The latest release is the GTX 1660. 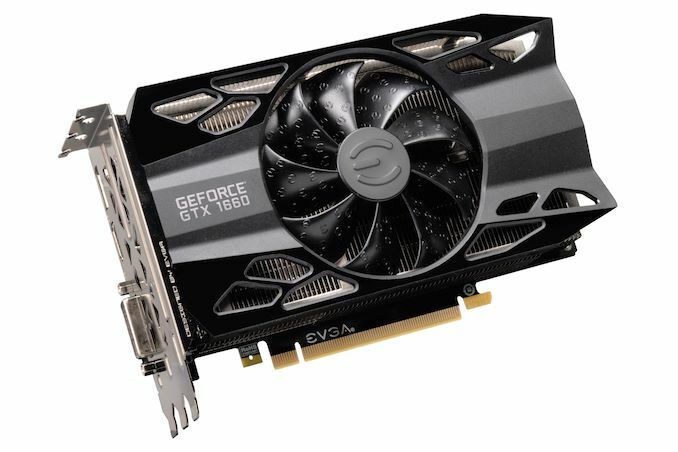 We’ve had a 1660 Ti before, of course, but this is a pared back card that offers something short of the Ti but in excess of the previous 1060, which this card essentially replaces. It uses the new Turing architecture that we’ve written about extensively with regards to the RTX series cards, but it deploys the technology in a different way. Specifically, there’s no dedicated ray-tracing cores on this hardware, meaning that despite being Turing it’s not built around those hot new features initially used to sell the architecture. Instead the feature set is more like that on cards like the 1060 and the 1660 Ti – but the performance is such that it really sits well with its price tag, which is in the £200/$220 region. Put simply, this is a card that’s really built for 1080p or 1440p gaming – and this all makes perfect sense. When we talk about hardware we usually focus on the slickest, coolest up-and-coming stuff, but the picture painted by the Steam Hardware Survey tells us most aren’t there yet: 1080p is the most common resolution used. Similarly, the GeForce GTX 1060 is the most popular GPU in the most recent iteration of the survey – and the GTX 1660 is arguably its most natural replacement. It’s worth keeping in mind that certain forward-looking features like ray tracing are available on GTX cards – but the performance will obviously take a hit. Before we get to benchmarks, let’s talk CPUs. The two most expensive parts of any PC are of course the GPU and the CPU, so if you’re looking for a cheaper build the most important choice is to find the perfect balance between the two without breaking the bank. While it’s been out for a good long while now, for our money the best go-to CPU for a favorable power-to-budget ratio is the AMD Ryzen 5 2600. These retail for £175/$200, though since they’ve been out for a while you can pretty frequently pick them up cheaper than that. The two paired come to somewhere around the 400 mark depending on your currency, and that’s before shopping around for deals. Yes, you then need to build the rest of the PC (more on that later), but the performance you get for that price is certainly nothing to sniff at. I tested a range of games with this setup. Modern, generally well-optimized games like Final Fantasy 15, Shadow of the Tomb Raider, Monster Hunter World and PlayerUnknown’s Battlegrounds all perform fairly similarly in frame rate stakes: they all manage around a very steady 60fps (sometimes above, sometimes very slightly below) at 1080p and max settings. More simple games speed away: Overwatch posts nearly 120fps, the likes of Rocket League and CS:GO manage the better part of 300fps, and things like Hitman 2 and Resident Evil 2 both exceed 60fps with ease. Battlefield 1 and Battlefield 5 remain a favorite testing ground for PC performance for me, and the results are good there, too: expect in excess of 100fps in ultra settings, DirectX 12 with quality anti-aliasing. This is a significant improvement over the 1060. Let’s take a step back for a moment with these 1080p figures: how does it stack up to a more expensive machine? It’s here where the six-core Ryzen 5 2600 shines. If we keep the 1660 GPU and swap out the Ryzen for the considerably more expensive Intel i5-8600K, the difference is surprisingly muted. While some more CPU-bound games benefit more, the difference is often in the single digits in FPS terms. We know that the 1660 is a strong GPU for its price bracket, but it’s when paired with the great value Ryzen 5 that the value is clear. If you bump the resolution up to 1440p the story is similar, though you can’t expect 60fps nearly as often. Some games that previously posted into the seventies and eighties do manage to make it: stuff like Forza Horizon 4 and Resident Evil 2 – but expect to see those previous 60fps locked games drop to around the 40-45fps mark instead. It has to be said that this is with Ultra settings, however: drop something like Final Fantasy 15 down to high and it shoots right back up above 60fps – and if you’re not at 4K the returns on those ultra detail settings are somewhat diminished anyway. While this is definitely not a card you really want to be shooting for 4K with, it bears mentioning that on high some games like Forza Horizon 4 and Resident Evil 2 still manage to coast well above 30fps on high at that resolution. It’s a bloody good combination. Also worth a mention is VR performance – the GTX 1660 can deliver strongly on that front, too. It’s worth noting that if you wanted to go for an all-AMD build, the Radeon RX 590 is a very similar card from that company that offers a very close price point and performance to the 1660. In our tests the 1660 generally came out on top by modest margins – so in theory the RX 590 is a completely valid spin on this setup. That combination makes this an ideal potential entry point for a more console-focused player who wants to get into the more customizable, open world of PC gaming. This combination is even showing up fairly frequently on PC builder websites, so if you’re one of those people daunted by the prospect of actually building something yourself there’s some pretty strong deals available that provide this GPU and CPU combo with everything else you need for a decent price. Take PC Specialist, for instance – that machine-building retailer has the Apollo R1, an all-in-one box featuring the same GTX 1660 and Ryzen 5 2600 combo in a complete box for £700. Part and parcel with that is 8GB of DDR4 RAM, a 256GB SSD for your operating system, a 1TB hard drive for everything else, a solid PSU, Windows, built-in wireless and a decent-looking case. This is obviously a handy, easy way to buy the machine, and comes with extra bonuses like the fact that the builders will have done pesky cable management for you, but it also serves as a good example of the sort of value you can cram in using this CPU and GPU pairing. Self-builds will of course be cheaper still. There are cut-backs as part of this, obviously – expect an SSD that isn’t best-in-class for speed, and don’t expect things like USB-C ports or oodles of USB ports in general, but as an entry-level PC this is brilliant – and of course, if you’re feeling confident, you can put something like this together yourself, giving you the wriggle room to shift the budget up or down or adjust how resources are spent to get slightly better quality parts or compromise in areas you care for less. As the world of gaming at large focuses on what’s next, be that ray-tracing, streaming like xcloud or Google Stadia, or even next generation PlayStation and Xbox hardware, it’s nice to see some stable, good-value options in the PC space. The flexibility of the PC platform is invaluable and will forever set it apart from TV-bound boxes – and it’s nice to have a little reminder here on VG247 that it doesn’t always need to be about building the gaming equivalent of a Bugatti. If you’re looking to join the PC crowd on a budget, keep the GTX 1660 and Ryzen 5 2600 combo in mind.